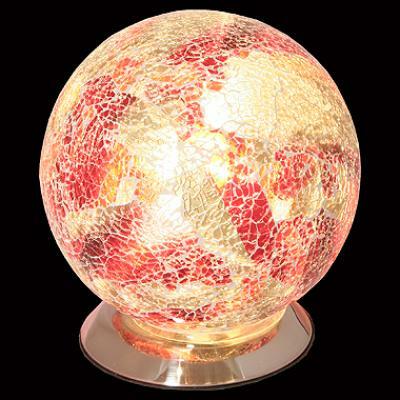 Mosaic orange and red glass sphere table lamp, sparkling crackled glass effect, even looks great when switched off too! Overall size.24X26cm. Mosaic orange and red glass sphere table lamp, sparkling crackled glass gives a fantastic effect, even looks great when switched off too! Would make a perfect gift. Mounted on a nickle coloured base.